- Back Up Time Stage 1 : 3 Hrs. - Stage 2 : 5 Hrs. - Stage 3 : 7 Hrs. 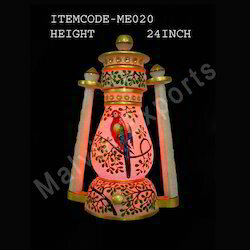 We are highly acclaimed in the industry for offering an optimum quality range of Wooden Lantern. We manufacture premium quality Solar Lanterns, which is an ideal option for use in outdoor and indoor and places which face electricity problems. These solar lanterns include a solar PV panel, lamps and batteries, which are easy to operate. Our products are highly known for their durability and consistency. 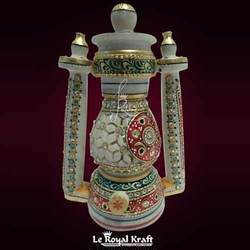 We are the most trusted name among the top most companies in this business, instrumental in offering a high-quality array of Prestige Rechargeable Lantern.